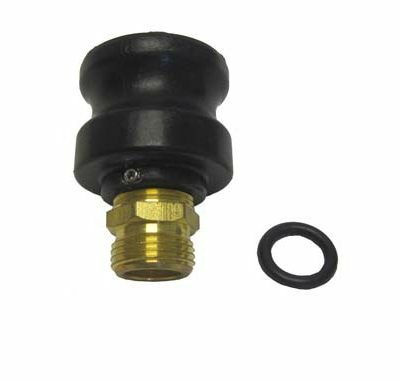 Turns your pump out station into a wet-vac! SKU: 02- POSUC. Category: Deck & Engine Room. 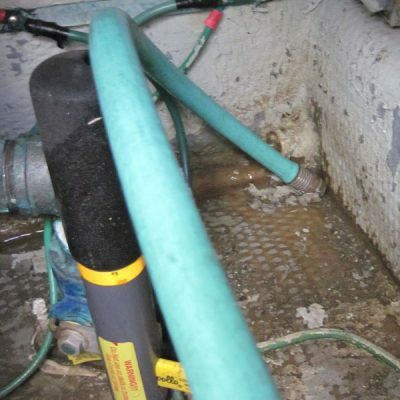 We always try to maintain clean and dry bilges and engineering spaces. The challenge has always been getting a shop vac or fluid extractor into the tight spaces or lazarette. And it seems as soon as you get going it’s time to dump the wet vac or fluid extractor. The crawling and climbing in and out flat wears me out! 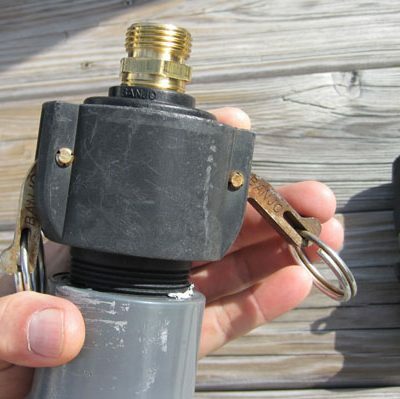 If you’ve got access to a Holding Tank Pump Out Station at your dock or marina, you already have one of the best Wet-Vacs at your disposal. So you may as well use it in that fashion. 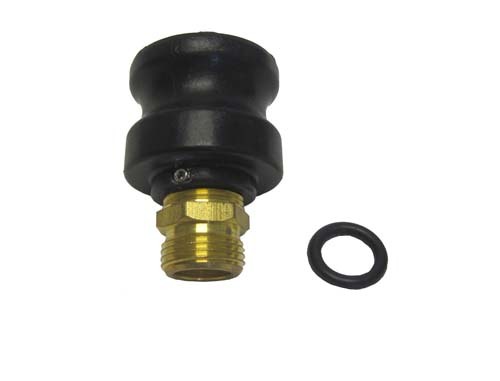 The Top Shelf Marine Products Pump Out Station Utility Connector allows you to fit a standard Garden Hose to the end of the Suction line. 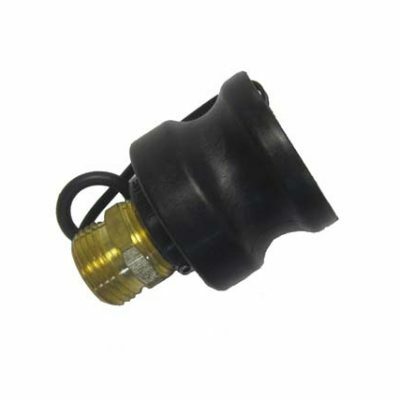 This extends the reach of the suction line and the Garden Hose is small enough to fit into tight spaces. 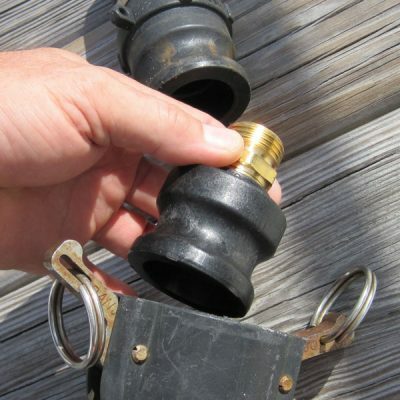 The Garden Hose can then be run into Bilges, Lazarettes, Lockers, Coolers, Fish Boxes, Tenders or anywhere water or other organic liquids collect. Now it’s easy to keep those spaces clean and dry. No hand pumping, no electric Wet Vac that needs to be emptied, no low volume fluid extractor to keep dumping. 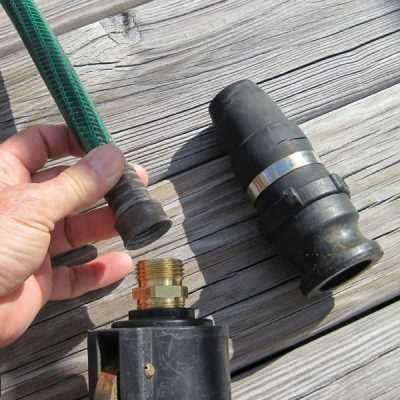 As long as the Pump Out Station is running, you’ve got vacuum at the end of your Garden Hose!